Create an Iframe page from or Section. To do this, go to Content, then Pages or Sections and click on Add Page or Add Section. Give your page a name and paste the code. Click Save. Go to content > Widgets. 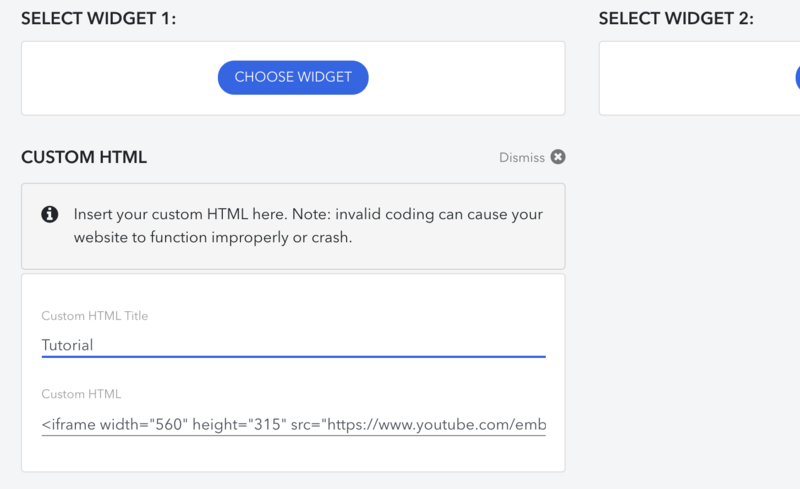 Click on Choose widget and click on custom HTML Widget. Give your widget a name and paste the code. 3. 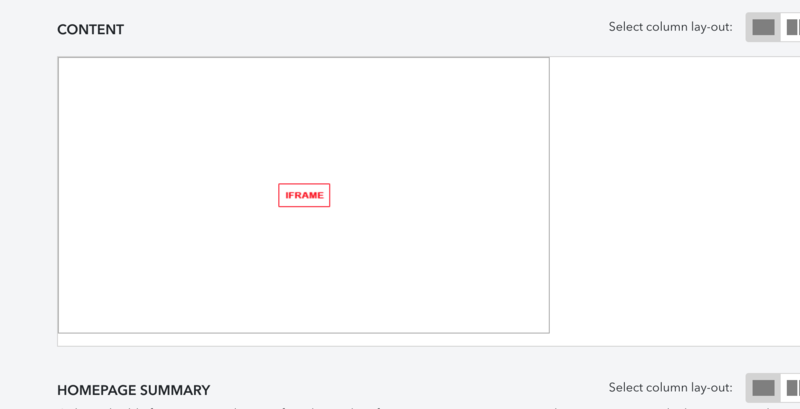 Embed the iframe in a page. You can do this in any page where you can edit the text. Put your mouse in the text field and click on Source in the edit bar.